The smell of fall — warm cinnamon, hints of vanilla, apples — it's all here in this easy and deliciously fragrant stove top potpourri recipe. With a few simple ingredients, you can create fragrant memories to last throughout the holiday season. Stove top potpourri is a quick and simple way to bring the scents of the holidays into your home. What's better is that you can store and reuse it over and over again. Who knew recycling could smell so sweet? Stir all ingredients together into a pot and set to simmer. You can also place the potpourri in a mini slow cooker set to low. Make sure to watch your liquid level as it will evaporate. 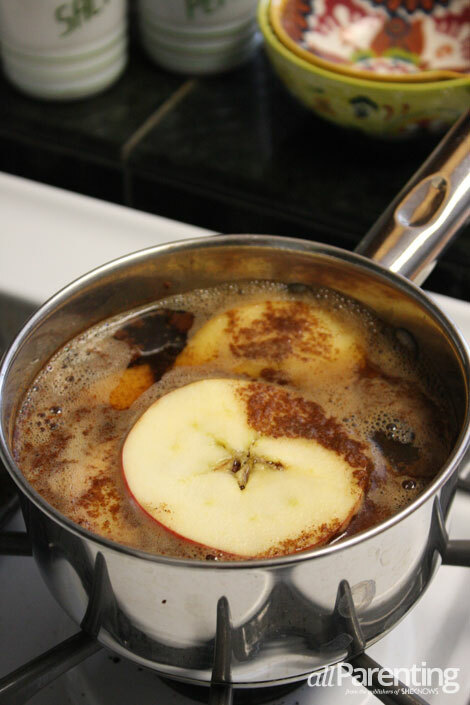 You can add more cider or water as it simmers. When you're done, you can store your potpourri in the refrigerator for a week and reheat it when desired. Enjoy the smell of the holiday season!